[toc]Conjunctivitis means redness of the outer layer inside the eye. It is very important to understand that conjunctivitis can be a consequence of various things affecting the eyes. It can be an irritant, allergen, or viral infection. Therefore, home remedies must be used with caution. Remedies include warm compresses, wearing glasses, and cleaning your eye gently with warm water. Viral conjunctivitis often cures on its own. The home remedies mentioned below are “cause-specific” and must be used according to the condition causing conjunctivitis. 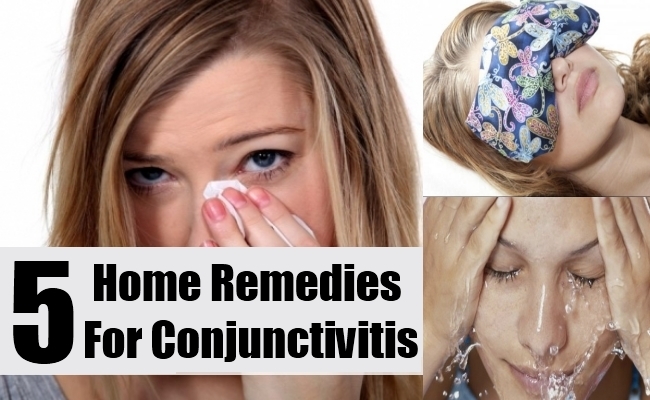 Let us try to understand more about home remedies for conjunctivitis. 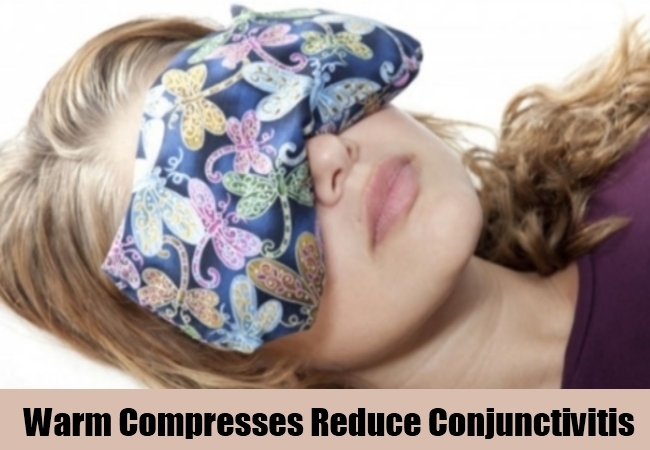 Warm compresses are known to alleviate conjunctivitis symptoms. They help in taking away eye discomfort and making patient feel relaxed until medication works to cure conjunctivitis. Warm compresses are very effective against bacterial and viral infections. Do not use the same area of cloth to wipe your eye repeatedly. It is very important to use separate cloths for your eyes. Cool compresses can be used to treat conjunctivitis caused by harmful light sources or other types of heat-related eye redness. Washing your eyes is not recommended for bacterial and viral infections. 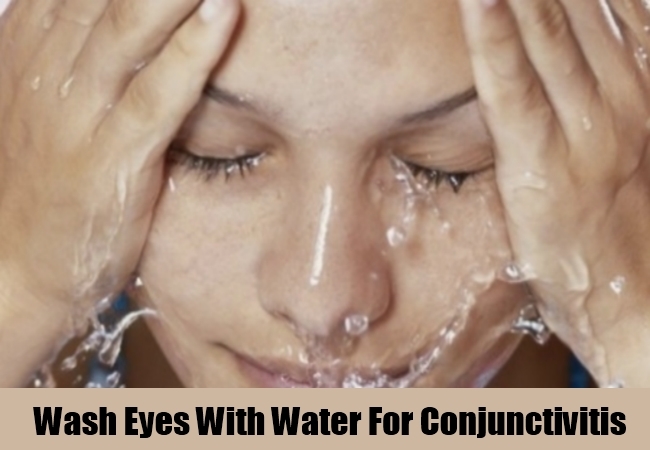 However, when foreign material like dirt or other particles from your surroundings causes conjunctivitis, you can gently wash your eye with water. This might cause more damage. The objective is to remove dust and foreign material from eyes. Hair from eyelashes or a small dust particle can easily be removed by dipping your eye in a bowl of water and blinking it repeatedly. “Do not rub your eye with fingers. Seek medical attention if hard or sharp foreign material is causing conjunctivitis. This is very common with viral conjunctivitis. Avoid going to public places and take precaution to keep irritants away from eyes. It can take up to 5 days for viral conjunctivitis to heal. 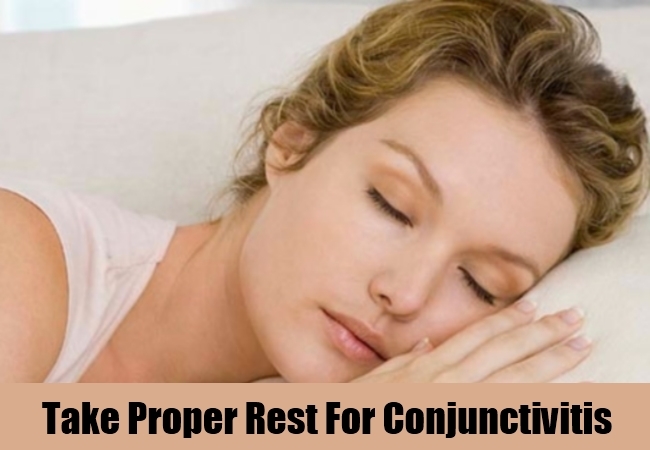 If the patient is a small child, it is wise to avoid school until conjunctivitis resolves. Keep yourself away from dusty and smoky areas. You can gently wipe your eye with a soft cloth if you have teary eyes. Make sure you use a clean cloth. Do not wipe both eyes with the same cloth. 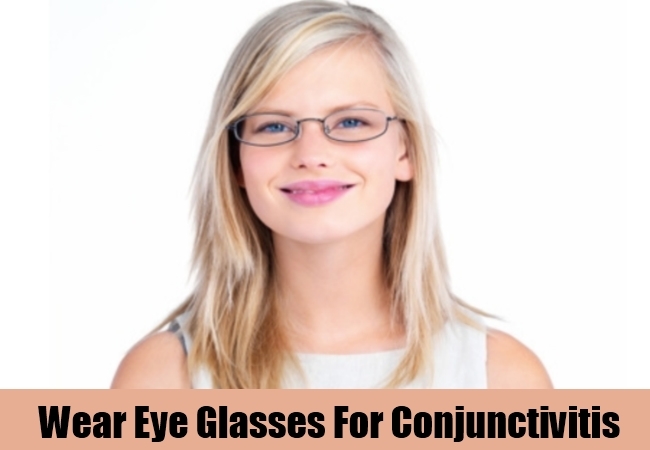 It is very important to wear eyeglasses if you are suffering from bacterial conjunctivitis. It helps in avoiding foreign material from entering your eye. Bacterial eye infection can worsen if eyes are not protected from air, pollution, and dust. Eyeglasses also help in avoiding spread of disease to other family members. Eye glasses also serve as a barrier for patients who get into a habit of rubbing their eye due to irritation. You can use your regular eyeglasses or purchase basic type of wide eyeglasses. Our body has an amazing ability to treat itself. Rest will help body to save energy and focus it on treating illnesses in our body. Do not strain your eyes. Avoid using computers for a long time. It is wise to refrain from using other modern electronic devices like smart-phones for long durations of time. In heat and allergic conjunctivitis, you can keep slices of cucumber on your “closed eyes” while you rest. This will keep your eyes cool. It helps in reducing discomfort caused by conjunctivitis. Conjunctivitis is a common name for pink or red eyes caused by different factors. It is important to consult with your physician and understand the cause of conjunctivitis before trying home remedies.